Karma, or the law of action, is part of the scope of the superior laws of The Universe. It is not punishment, as most believe, but awareness and expansion of consciousness that manifests in our lives through direct experience. Karma is a collection of lessons we came to learn in this lifetime. As a superior law, karma has 12 sub laws that may facilitate the understanding of such a complex concept. 1 – The Great Law: We harvest what we plant. “As you sow, so shall you reap”. It is the aspect of cause and effect. 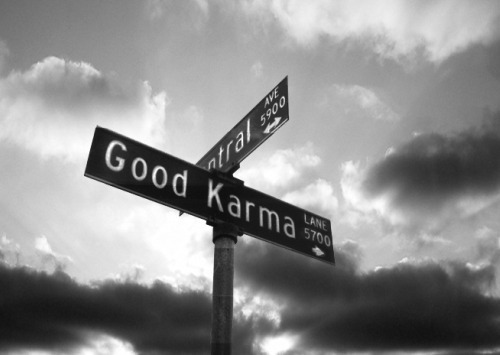 Many religions acknowledge this aspect of Karma through the practice of the golden Rule. Do into others what you wish to be done unto you. 8 – The Law of Giving: If we believe something is truthful and benevolent, we will be called to be examples of that truth. This is the equivalent of saying that a person must “walk their talk”. Teaching by example, and giving honest testimony of our truth is part of the scope of karmic and dharmic patterns.